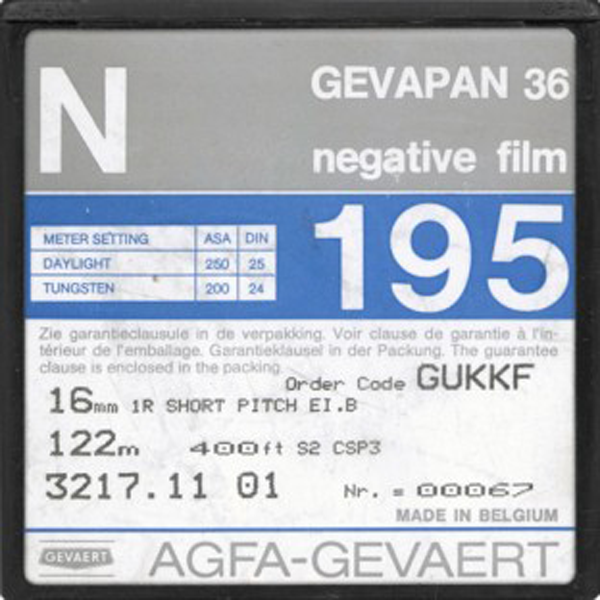 This medium speed B/W 16mm made by Agfa-Gevaert is suitable for a variety of lighting conditions. We’ve recently acquired a small stock of sealed 400ft cans that were frozen for 10+ years and our tests yield good results. We can spool it down to 100ft daylight spools upon request.